To celebrate the 55th series of Have I Got News For You, the show’s team captains, Ian Hislop and Paul Merton gave a now infamous interview to the Radio Times, a publication not normally used to setting the news agenda. Amid a conversation with ITN anchor-man Tom Bradby, the duo offered a highly criticised answer to questions about the in-balance between male and female guests. Indeed, their suggestion that women were less likely to appear because of their modesty catapulted Have I Got News for You into the headlines that it usually lampoons. Asked about the show’s gender balance by the Guardian, Lynne Parker, founder of Funny Women, took a rather different view. She laid the blame squarely at the feet of the bookers on the show. Parker suggested that, rather than scouring the live comedy circuit where new female comedians are building their careers and support, the bookers cycle through the same tried and tested circuit of guests, most of which are men. It’s a kind of selection bias. If the only people we see on shows like this are men, we assume that only men are capable or interested in contributing to them, so in turn they are the only people that get booked. Of course, this is not a problem limited to long running panel shows. Across culture and society, the role models that we advance, celebrate and emulate are still to a significant extent men. Whether in comedy, sport, politics, art and commerce our default is still the default male. Consciously or unconsciously, it’s also rife in the business of marketing and advertising. And have I got news for you, we are all at it, men and women. About eighteen months ago I was putting the finishing touches to a presentation. I was full of self-congratulatory pride, since it was bristling with fascinating cultural references, great brand examples, brilliant storytelling and beautiful imagery. And having completed it, I showed the presentation to my wife, Annabel. Her only response was to congratulate me on referencing not a single woman in the entire presentation. I was crushed not just by her criticism but by my own blindness and bias, both of which I would have vehemently denied until this uncomfortable evidence to the contrary presented itself. The truth is that across our industry from keynotes at conferences to the day to day presentations that set up strategies and present creative work, the role models we quote, the brands we celebrate and the businesses we lionise are often highly biased towards men. Go on, whether you are a woman or a man, have a look at the last presentation you gave or received and count the gender balance in the marketing luminaries, cultural icons, tech firms, or brands that are referenced and lionised. And tell me that they aren’t dominated by men, founded by men or made for men. And yet for every Uber, which was set up men, there is a Stitch Fix, founded by Katrina Lake, the youngest female CEO to take any business public. For every Spotify, founded by men there is a Glossier, created by Emily Weiss, described as the Estee Lauder of her generation. And for every Air B and B, there is a Bumble, founded by Whitney Wolfe Herd, one of the people behind Tinder before she left to create a far less predatory approach to dating. Each of these people have created brands and businesses that are far more interesting than the tired parade of clichés that seemingly populate every presentation you ever see and conversation you ever have in this business. And finding them takes little more effort than simply rejecting the first thing that comes into your head. This is desperately important because, the journey to properly representing our society in the work we make starts, in part, by properly representing our society in the conversations we have with each other. The conversations that define what we think good looks like and the examples and role models we want our brands and work to follow. And all that has to happen is for us all to decide to do this, from today. To quote as many women as men, to use as many female role models in our story telling as male and to celebrate as many brands created by women as those created by men. 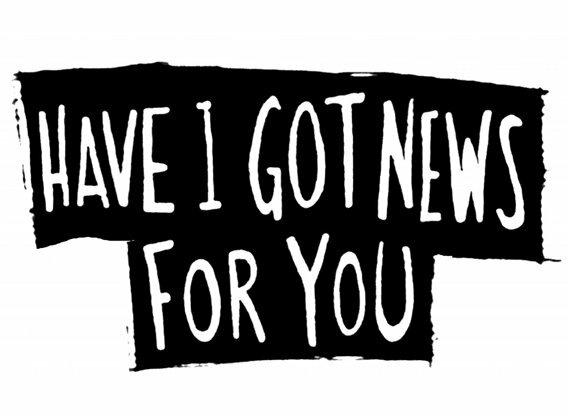 In the time-honoured tradition of the Have I Got News For You headline round. It’s that _______ easy.